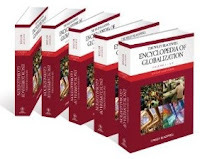 This is a copy of a publication in The Wiley-Blackwell Encyclopedia of Globalization, edited by George Ritzer. Malden, MA: Wiley-Blackwell, 2012. Also available as pdf file. Please cite as: Deflem, Mathieu. 2012. "Interpol." Pp. 1192-1193 in The Wiley-Blackwell Encyclopedia of Globalization, edited by George Ritzer. Malden, MA: Wiley-Blackwell, 2012. Interpol was founded at an international police congress in Vienna, Austria, in 1923 as the International Criminal Police Commission. In the wake of the end of World War II, the organization was brought into life to fight the increase in crimes across national borders. Since its founding, Interpol has not been organized as a supranational police force with powers of arrest, but as a collaborative network of criminal police agencies from different countries around the world. At present, Interpol has member agencies from 188 nations. Historically, the formation of Interpol signaled the growing awareness among police professionals that crime was of an increasing international character, especially under the influence of advanced technological means of transportation and communication. Police professionals maintained that political and legal agreements did not suffice to tackle this law enforcement problem. The 1923 gathering at which the International Criminal Police Commission (ICPC) was founded was therefore organized independently by police professionals. It was decided to set up a permanent structure for international police cooperation with a central headquarters (at the Viennese criminal police) through which information could be passed on among the various member agencies. During World War II, the ICPC headquarters were taken over by the forces of Nazi Germany and subsequently moved to Berlin where they were brought under the control of the SS. Factually dormant during the final years of World War II, the police organization was revived at a meeting in Brussels in 1946. Renamed the International Criminal Police Organization, the organization’s structure remained essentially the same as before. The organization’s focus on distinctly criminal, non-political objectives was made more explicit in a new constitution. The headquarters were moved to Paris and, later, to Lyon in the south of France, where they remain until this day. From the second half of the 20th century onwards, Interpol expanded its membership considerably but retained essentially the same collaborative structure and focus on criminal law enforcement. The General Secretariat in Lyon collaborates with the various National Central Bureaus in countries across the world. Since 2003, these international communications are ensured through an encrypted internet-based system called “I-24/7.” Additionally, the Lyon headquarters also collect criminal investigation data, such as fingerprints and DNA profiles, which are passed on by the member agencies. And the Interpol headquarters provide limited operational assistance to the member agencies. Communications from the National Central Bureaus to the General Secretariat operate on the basis of a color-coded system. Most often used are red notices (to request the arrest of a fugitive from justice), blue notices (to request information about a person in connection with a crime), and green notices (to provide warnings and intelligence about convicted criminals who are considered likely to re-offend in another country). Additionally, since 2005, and Interpol-United Nations Special Notice is designated for police requests related to the United Nations sanctions against al-Qaeda and the Taliban. The events of September 11 brought about several changes in Interpol’s structure of operations. Most distinctly, terrorism has become a central focus for Interpol, along with the rendition of international fugitives, drugs and organized crime, the trafficking in people, and financial and high-tech crimes. In view of the increasingly widely recognized impact of these international crimes, Interpol’s broad membership remains the organization’s central strength. Anderson, M. (1989) Policing the World: Interpol and the Politics of International Police Co-operation. Oxford: Clarendon Press. Barnett, M. & Coleman, L. (2005) Designing Police: Interpol and the Study of Change in International Organizations. International Studies Quarterly 49: 593–619. Deflem, M. (2010) The Policing of Terrorism: Organizational and Global Perspectives. New York: Routledge. Deflem, M. (2006) Global Rule of Law or Global Rule of Law Enforcement? International Police Cooperation and Counter-Terrorism. The Annals 603: 240-251. Deflem, M. (2002) Policing World Society: Historical Foundations of International Police Cooperation. Oxford and New York: Oxford University Press.